Welcome back. Have you heard about the amazing cure-all? It’s called Placebo. Oh, come on. You know what a placebo is, right? A fake treatment, such as a sugar pill. Placebos are used in testing to determine if a real treatment has an effect that’s any better than no treatment, the placebo. 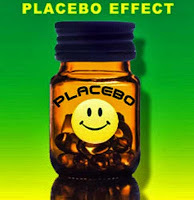 The placebo effect, as I described in Placebo Sleep, is where the outcome of a treatment is attributed to the belief in the treatment--mindset, perception or expectation--rather than to the treatment itself. For the test to have any value, the participants must be unaware if they’re receiving a placebo or the real treatment. The results are most reliable if they’re obtained with a double-blind test, where those giving and receiving the treatments are both unaware. Well, that’s how placebos are normally used. But in a study published last fall, the researchers tried something different, an open-label placebo. The researchers told the test participants they were receiving a placebo, explained the placebo effect and compared outcomes of the placebo and the usual treatment for chronic low back pain. Guess what. The placebo worked better. The study was conducted by researchers from Portugal’s Instituto Superior de Psicologia Aplicada, Universidade Nova de Lisboa and Centro Hospitalar de Lisboa Ocidental, and Harvard Medical School’s Beth Israel Deaconess Medical Center. Study participants were recruited via referrals and advertisements for “a novel mind–body clinical study of chronic low back pain.” All were at least 18 years old; had experienced persistent lower back pain for over 3 months, which was confirmed by medical specialists; and had not medicated with opioids in the previous 6 months. Over 85% of the participants were taking pain medications, mostly non-steroidal anti-inflammatories. The participants were placed randomly into either the treatment-as-usual group or the open-label placebo group. For three weeks, they all continued doing exactly what they had been doing for pain, except those in the placebo group added a placebo (two capsules of microcrystalline cellulose twice daily). Treatment outcomes were measured on 83 participants (41-placebo, 42-usual treatment) at 11 days and 21 days. After the 21 days, a subset of those who had been in the treatment-as-usual group continued for an additional three weeks, but adding the open-label placebo pills to their usual treatment. Treatment outcomes were measured on 31 participants after 21 days. Pain measures included the participants’ ratings of maximum, minimum and usual pain from 0 to 10; 24 yes-or-no statements about difficulties in daily activities (Roland–Morris Disability Questionnaire); and how bothersome their pain had been, from 0 to 10, during the previous week. For the first three weeks, the open-label placebo group reported improvements that exceeded those of the treatment-as-usual group by a wide margin. Pain scores were better by about double or more and disability by nearly 30% more. Bothersomeness differences were not significant. 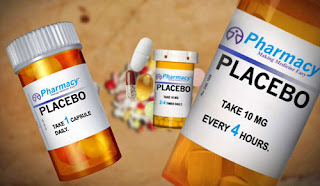 After adding the placebo for three weeks, participants who had been in the treatment-as-usual group reported pain reductions ranging from 29% for maximum pain to 46% for minimum pain, a disability decrease of 40% and a bothersomeness decrease of 34%. How could the participants improve knowing that the pain reliever they were receiving wasn’t really a pain reliever? Among possible reasons discussed in the paper as well as in a 2013 U.C. Berkeley Wellness report on placebos was that participation in the study implies a belief or hope that the treatment might be helpful. Since ancient times, it’s been known that the hope and expectation patients experience when treated--even with a placebo--by a trusted practitioner can play a large role in recovery. 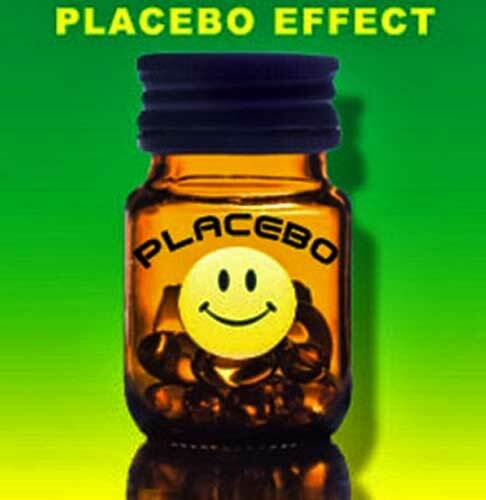 Although a placebo is fake, the physical responses to it are real. Sensing pain, the brain can release pain-relieving chemicals. I still thought it was remarkable that 17 participants requested prescriptions for the placebo at the end of the study. Thanks for stopping by. I am indebted to the University of California, Berkeley Wellness Letter (Feb. 2017) for reporting this study, which was first published online during my break from blogging.